Exclusively yours. 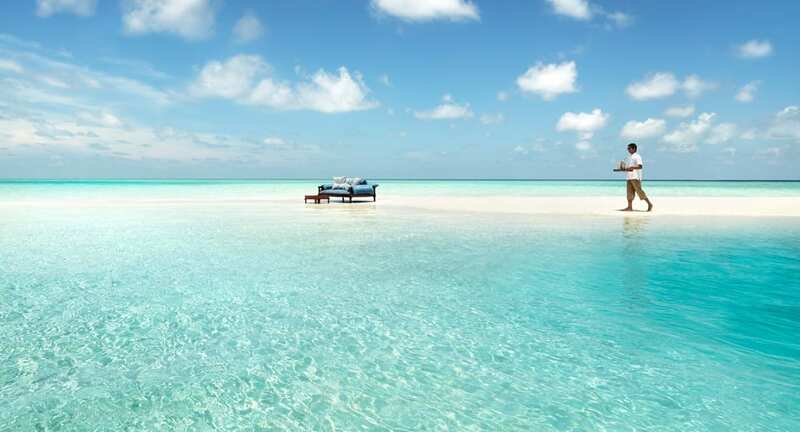 Buy-out Naladhu Private Island Maldives for the holiday of a lifetime. For seekers of exclusivity and privacy, Naladhu is home to 20 elegant and spacious private houses fronting the blue waters of the Indian Ocean. Stay for a minimum of three nights on an exclusive buy-out basis for a maximum of 50 guests. Every space is yours and yours alone, from The Living Room’s beachfront dining scene to the pristine shores overlooking the blue lagoon. Customise an Intimate Dining Affair exclusively for your group, or enjoy a variety of dining options on our neighbouring resort islands – the choice is yours. The rate quoted is subject to seasonal variations and change without notice. Minimum 3 consecutive nights’ stay required. Flight details must be provided 48 hours prior to arrival for speedboat transfers to be arranged. For more information on applicable tariffs during your desired booking period or to make a reservation, please contact our reservations desk or click on ‘EMAIL US’.